The Moulton Bicycle is the original full-suspension, separable, small-wheeled, high performance bicycle, world renowned for speed, efficiency, durability and comfort. Expertly engineered for over 50 years and handcrafted in England, these bicycles are the world's most efficient form of transport - designed for universal use, real performance and comfort. In order to accommodate the hard ride of the ultra-rigid frame, strong wheels and high pressure tyres, full suspension has been a mandatory feature of all Moulton bicycles. This coupling of advanced suspension and small wheels provides superior comfort and road holding. Moulton bicycle suspension has been continually developed for over 40 years, constantly refined to maximise rider comfort and efficiency. 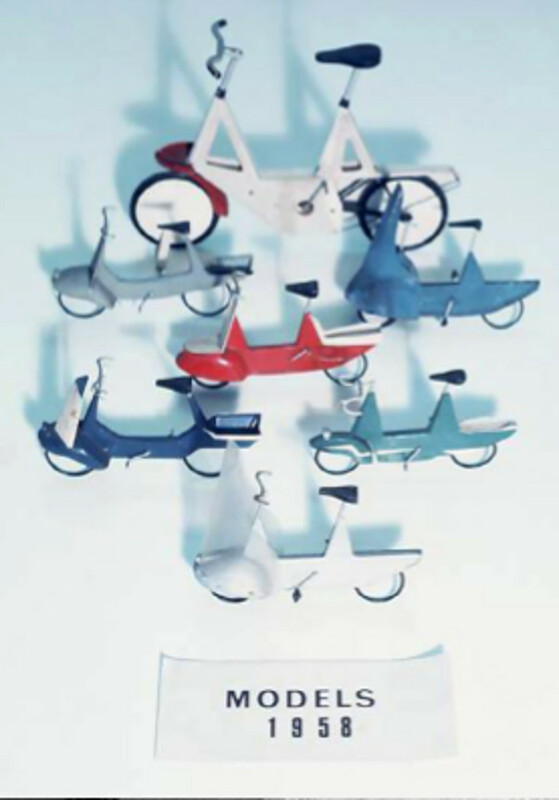 All Moulton bicycles are inherently more compact and most feature separable frames for storage or transport. This separability introduces no compromises other than a little extra weight; there is no loss of stiffness or ride quality. When disassembled, the two halves of a Moulton fit easily in the boot of a car or travel case. The New Series Moultons separate further into five parts for even more compact stowage and airline transport. The design of the Moulton and its accessories is such that the same bicycle can be used for laden touring, performance cycling or urban use - dressed for travel or stripped for action as required. As with other vehicles, bicycle frame stiffness is a key element of performance. Lateral rigidity is vital, as any of the rider’s energy spent flexing a frame is lost and inefficient. A stiff frame also ensures accurate wheel tracking for secure road holding and cornering stability. The advanced Moulton space-frame - a highly engineered lattice of small diameter tubes - has immense stiffness and strength, far superior to a conventional bicycle frame. Its low weight, high lateral stiffness, and torsional rigidity produces a ride that is lively yet amazingly efficient and significantly improved over conventional bicycles. 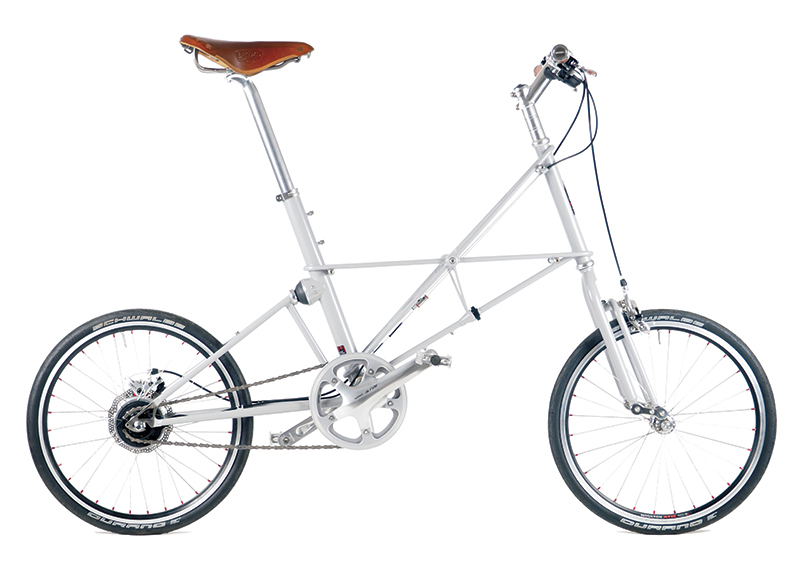 The Moulton is a versatile design and all-round performer. 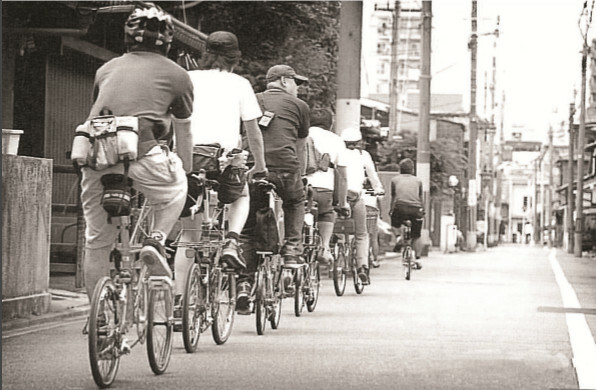 In many cases, the same bicycle can be used for laden touring, performance cycling or urban use – dressed for travel or stripped for action as required. In addition, the Moulton’s ergonomics provide further versatility – the one frame size fits the majority of riders and the low step-through allows the bike to be mounted with ease by both sexes. The Moulton has been taken on some epic cycle tours around the world - the Gobi desert, Death valley, through the Himalayas. Strong small wheels with robust tyres cope with variable terrain, its rigidity and low centre of gravity of the luggage provides laden stability, full suspension provides long-distance comfort, and its frame supports ample luggage capacity. Its compact size and separable frame also make it easier to store and transport by road, rail or air. A high-performance, fully-suspended road bike. The Moulton has a racing pedigree – on the road and in the velodrome – dating back to 1962 and still holds a world speed record. The combination of the lower rolling resistance of high pressure tyres and the lower aerodynamic drag of small wheels, allows the bicycle to go faster with less effort. The option of sport gearing and fixed frame also adds to its performance in speed racing. Moultons have a proven record racing in triathlons and sportives. The comfort enjoyed from the suspended frame also makes it an excellent choice for longer, ultra-distance cycling events. A comfortable and spritely city & leisure bike. The Moulton is a comfortable and spritely city and leisure bike with a nimble ride style that makes it easy to manoeuvre through traffic, and full-frame suspension that takes the ‘ouch’ out of road bumps. It requires minimal maintenance and its compact size makes it easy to carry upstairs and store in small spaces at home or at work. It has ample capacity to carry luggage and the option of flat or drop handlebars, and gearing specification, depending on your preferred style of riding. Stowable in a car boot, on a boat or plane, and at home or work. ‘Moulton Bicycles’ is a high-quality, design, engineering, and manufacturing company based in Bradford on Avon, England. 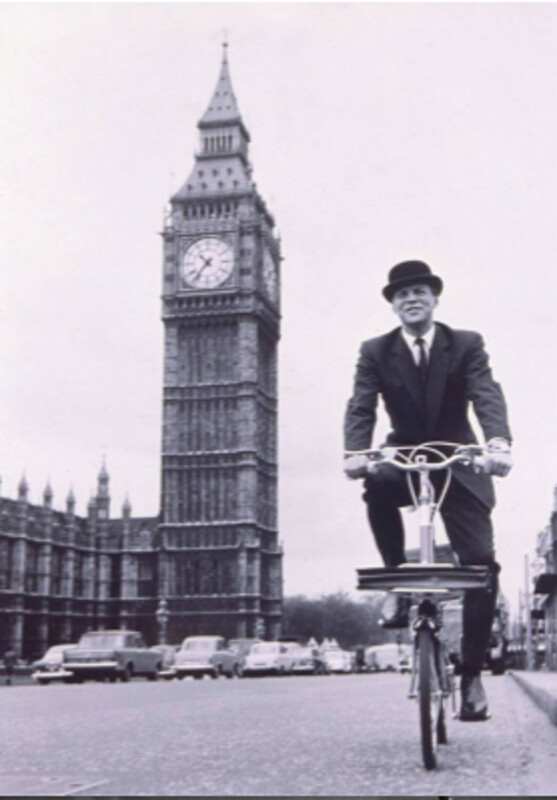 Founded in the 1950s by the prominent British designer and engineer Dr Alex Moulton, it remains today as one of only three established bicycle manufacturers in Great Britain.